Applications are invited from suitably qualified candidates for admission into the Pre-degree programme of the Delta State University, Abraka for the 2017/2018 academic session. The programme is an intensive one, designed to prepare candidates for entry into 100 level of some selected degree programmes in the University. (a) Candidates should possess five credits in relevant subjects in the Senior Secondary School Certificate Examination or its equivalent at not more than two sittings. The subjects should include English Language and Mathematics. For Pharmacy and Nursing Science degree programmes, candidates must have the five credits at one sitting. (b) Specific Departmental admission requirements are as indicated in the UTME brochure for Delta State University, Abraka. (c) Candidates are required to register with JAMB and write the 2018 UTME. They must take DELSU as first Choice. (d) Candidates must write 2018 JAMB and score a minimum of DELSU JAMB cur-off point which is at present 180. (e) Candidates must register the same course in JAMB and in the DELSU Pre-degree Programme. Admission of candidates into the various courses shall be based on a General Aptitude Test, which shall be conducted by the Delta State University, Abraka. Candidates are expected to come with the following materials, without which, they would not be allowed into the examination venues. 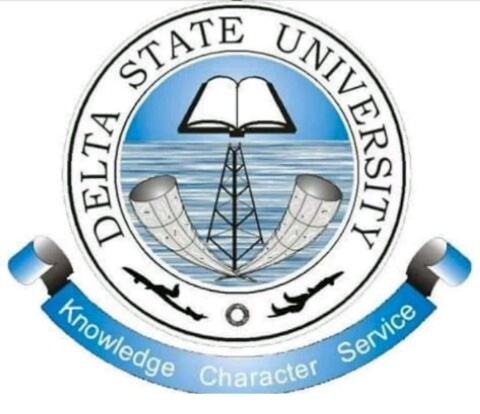 Application forms are to be filled online at the rate of N20,000.00 (Twenty Thousand Naira) through the use of Delta State University virtual pin generated at http://www.delsuonline.com, and payment made at any of the following banks as approved by the University.